Google is working on two upcoming smartwatches with Android Wear 2.0 under the code names of Angelfish and Swordfish. Along with the upcoming Nexus 2016 smartphones, there is an information leaked by Android Police that Google is going to launch 2 smartwatches. We have already seen that the market of Smartwatch booming every year with a CAGR of over 66.6%. Big brands like Apple, Samsung, Huawei and Sony are already leading the industry of Smartwatches with Apple and Samsung being the leaders in Smartwatches. 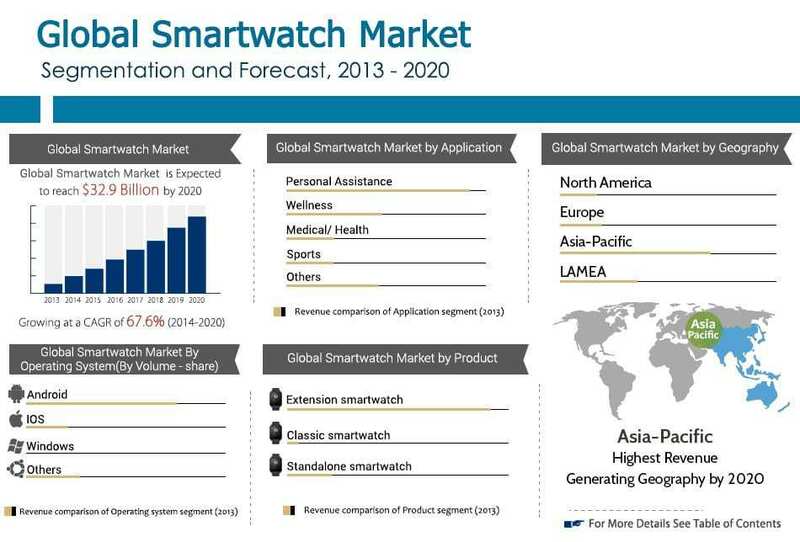 Smartwatch market is estimated to be worth of $32.9 billion by 2020. Apart from fitness watches, Google has been the key behind running the Smartwatch industry with it’s Android Wear app, but now Google is coming out with its own smartwatches with integrated Google Assistant. The images leaked below shows that both these watches have got round dials and will be running on Google’s Android Wear 2.0. The one with larger dial is supposed to be named as Angelfish which appears to have thick bezels with sports-like design. Angelfish might have a standalone LTE connectivity along with GPS & heart-rate sensor, which will highlight the standalone apps support capability of Android Wear 2.0. On the other hand Swordfish has relatively smaller dial with thinner and cleaner design. The bezel of Swordfish looks curved and the dial size seems to be 38mm. Swordfish might not have LTE & other sensors like Angelfish and with smaller dial size, it may come at a lower selling price. Also Read: Why you need a smartwatch? The combination of a Huawei watch with a Huawei Nexus 6p looks dope. 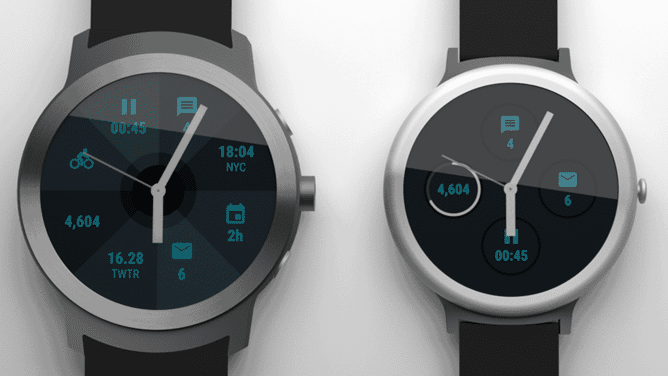 Similarly we feel that Google’s new smartwatches will be an amazing combination with the upcoming Nexus 2016 devices. The leak seems to be true as of now, but there can definitely be the changes in the design and the features. We are keeping an eye on the leaks and we will keep you updated with any authentic leak that surfaces next.